Rain, hail or shine you can guarantee to get your game on at Lonsdale Golf Club on the Bellarine Peninsula. 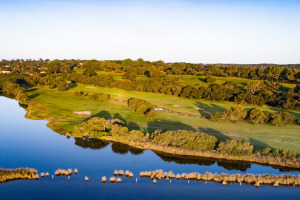 Located in Point Lonsdale, the golf course is a par 69 for men and par 70 for women and is challenging yet suitable to all ages and skill levels. The Club welcomes non-members, green fee players, social golfers and corporate golfers to use the course and club facilities. Lonsdale Golf Course is open 7 days from dawn until dusk, with beautiful course views of Lake Victoria. Lonsdale Golf Club is excited to announce the upcoming arrival of X-Golf - The World's Leading Brand in Golf Simulation, in October 2017.